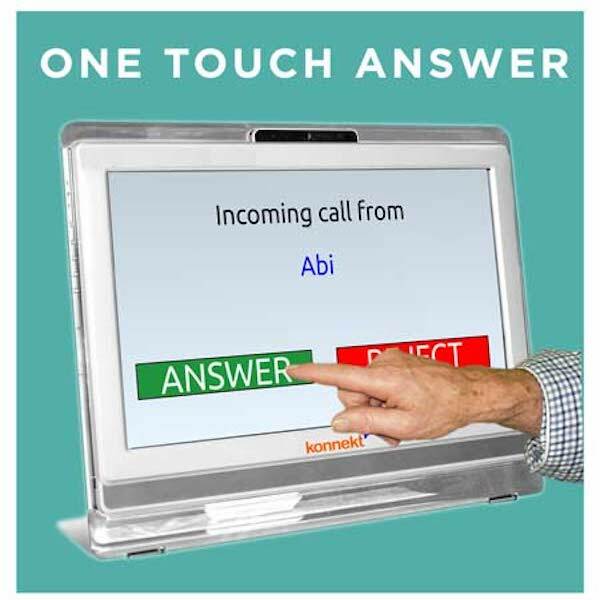 TADWA can supply, install, configure and support the Konnekt Videophone in Western Australia. 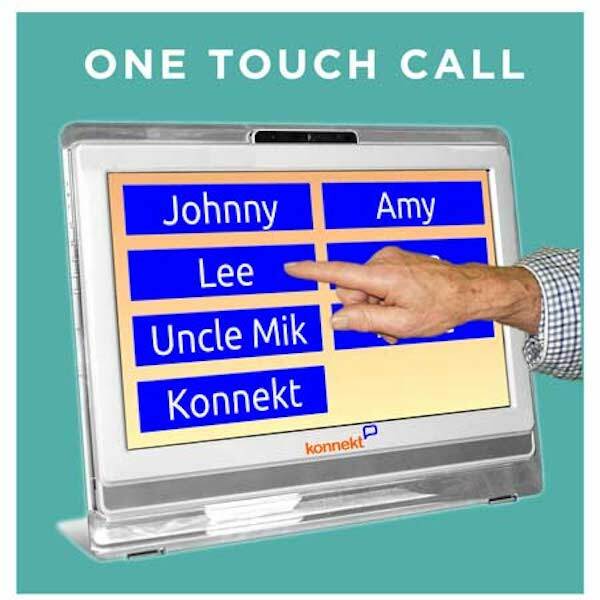 The Konnekt Videophone has been designed specifically for the elderly and disabled, to enable face-to-face contact with family and friends through the simplest interface possible: one touch to dial. It requires no computer skills whatsoever. There are no menus, no passwords, no confusing options. Using a finger, a prosthetic, or just about any object, just tap the name you want to call on the 15 inch screen, and the Videophone commences a Skype call. Incoming calls are equally simple, and can be automatically answered for authorised users. The size of the buttons and text, the colour, language, volume, and many other preferences are adjustable, enabling us to tailor the Videophone for each user. Maximum volume is far louder than any tablet or iPad. During a call, the Videophone user can sit close by, or a few metres away in their favourite chair, and talk in a normal voice, thanks to a highly sensitive auto-adjusting microphone, very loud speakers, and other carefully selected components. 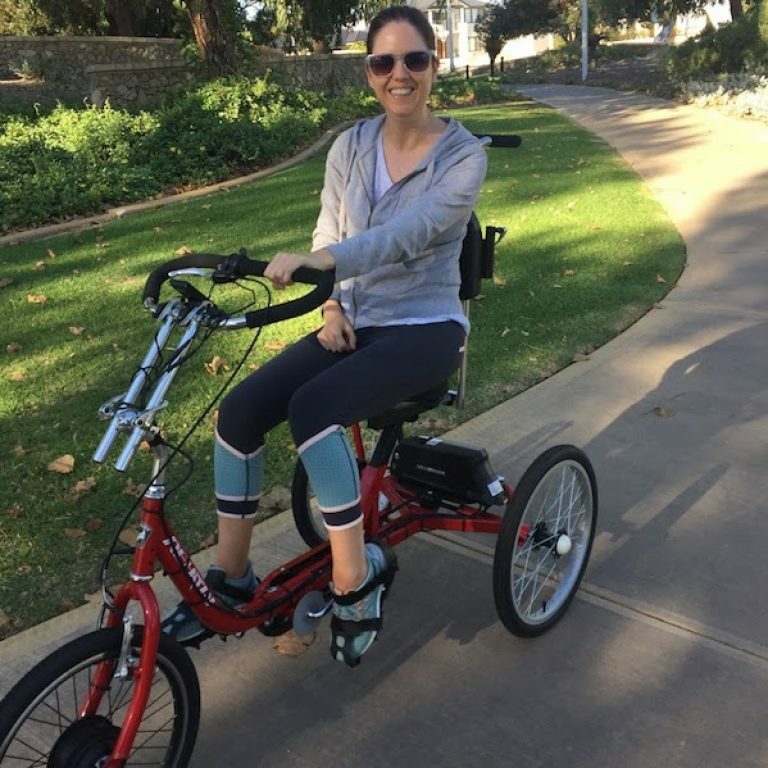 Several mounting options are available.